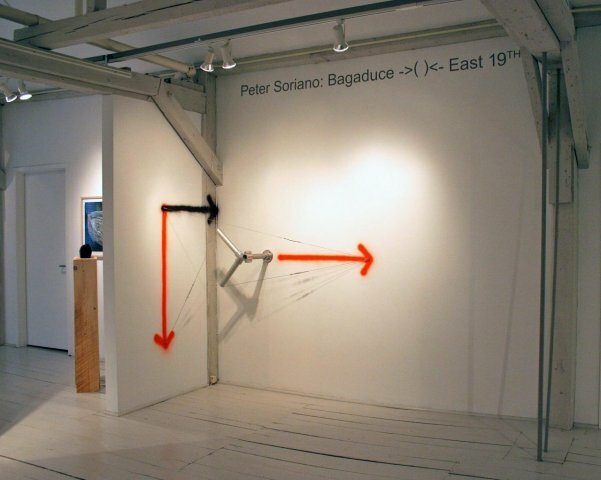 Bagaduce ->( )<- East 19th presents selected recent drawings and wall works by artist Peter Soriano, who divides his time between studios in Penobscot, Maine, near the Bagaduce River, and East 19th Street in Manhattan. 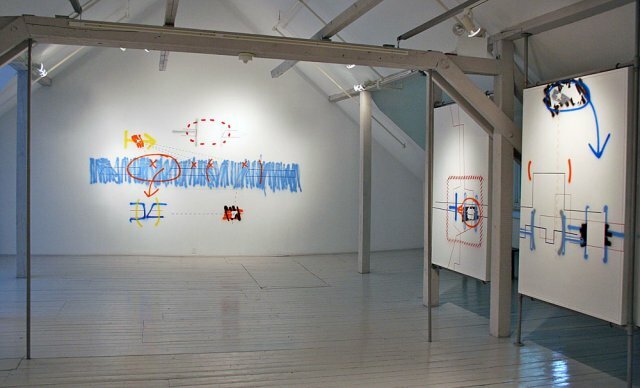 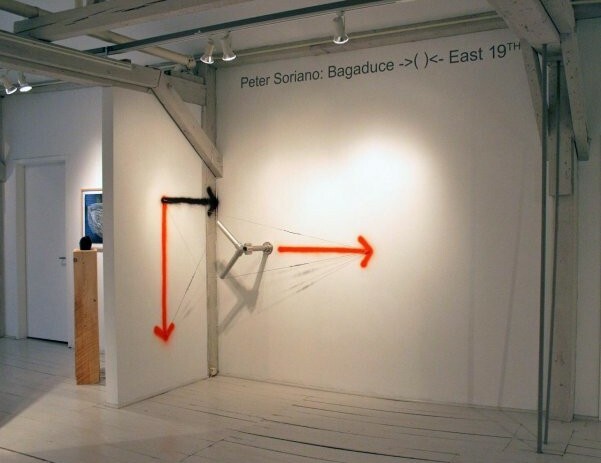 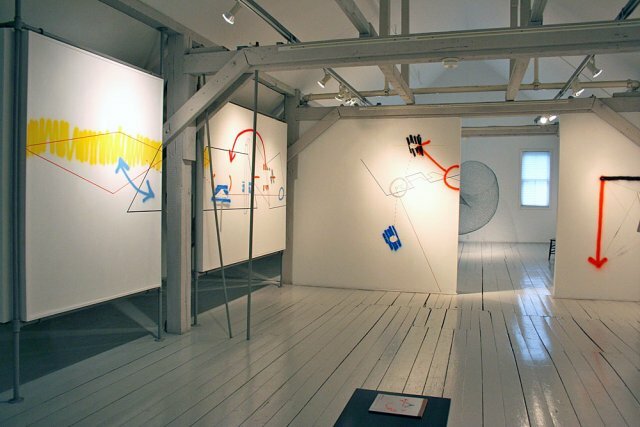 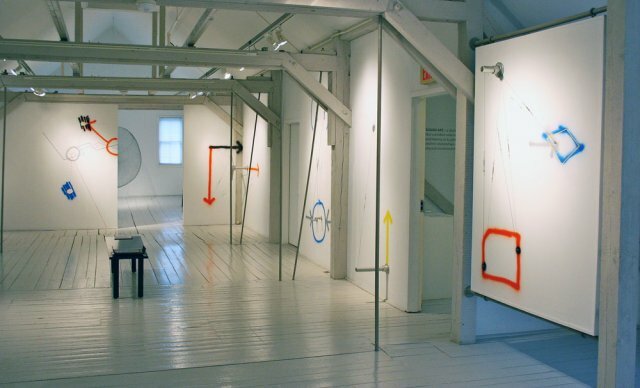 The resulting “wire works,” as the artist refers to them, combine spray-painted lines and markings with short lengths of pipe and steel cables mounted directly on the wall. 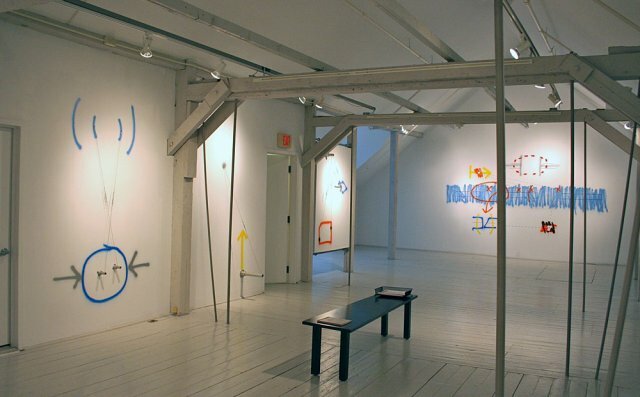 Actively engaging the space they are installed in, they hover at the intersection of painting, sculpture, and drawing. 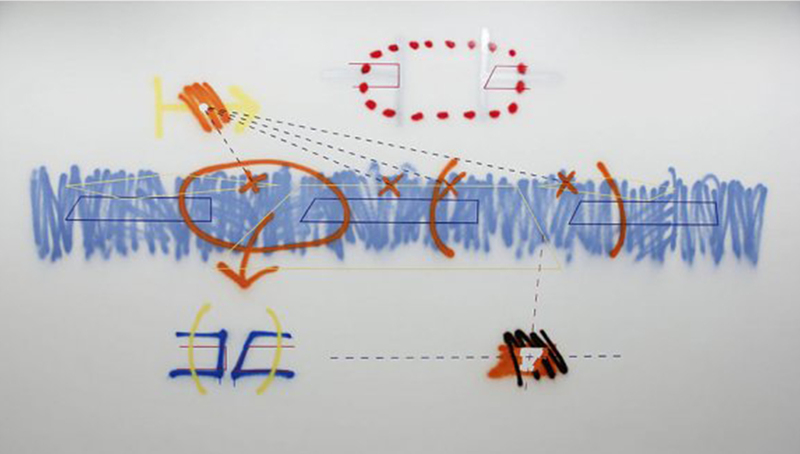 Most recently, Soriano has dispensed with the three-dimensional objects altogether, concentrating on creating complex schematic wall works that employ a variety of painting methods, including spraying, stenciling, and brushwork. 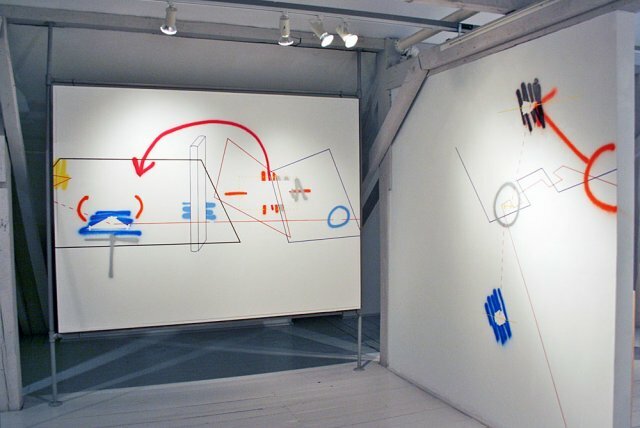 Like the wire works, these new wall paintings can be re-created by anyone following specific installation instructions, ensuring a certain consistency, as well as variability, to each iteration.